CERC-803 is an ultra-pure, oral formulation of L-fucose currently in development for the treatment of Leukocyte Adhesion Deficiency Type II (LADII), also known as SLC35C1-CDG. Currently there is no approved product for the treatment CDG-IIc. 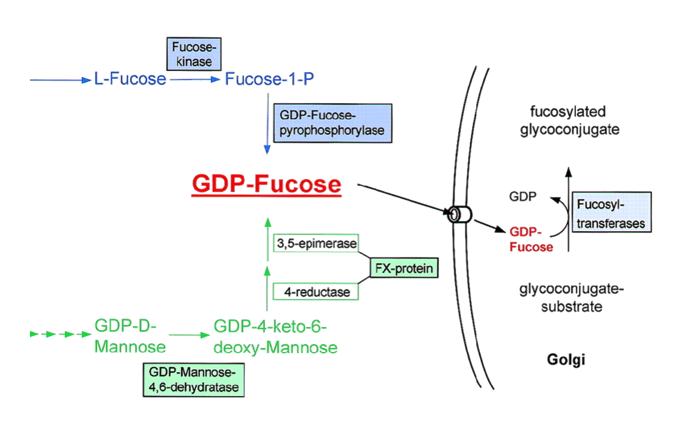 CDG-IIc is caused by loss of function mutations in the SLC35C1 gene encoding a GDP-fucose transporter found in the Golgi apparatus, where it acts as the donor substrate for protein fucosylation. We believe that substrate replacement with CERC-803 in patients with CDG-IIc is expected to reverse the hypofucosylation defects found in this patient population.